Vojin Kocić was born 1990, in Smederevo in Serbia. He was 8 when he started to play guitar. Now, he is student (4th grade) of Musical School “Josip Slavenski” in Belgrade (in class of Prof. Darko Karajić).Vojin Kocic attended a great deal of master classes with most eminent guitarists of today,such as : Oscar Ghiglia,Pepe Romero,Manuell Baruecco,Marcin Dylla,Sergio and Odair Assad,Annielo Desiderio, Costas Cotsiolis, Pavel Steidl, Leo Brouwer, Carlo Marhcione, Tillman Hoppstock, Zoran Dukic, Hubert Kappell, Dusan Bogdanovic, Edin Karamazov, Denis Azabagic, Marco Tamayo, Judicael Perroy, Pablo Marquez, Suzana Prieto, and many others.From 2001. to 2007, was awarded with first and special prizes at many domestic and international competitions for young guitarists:2001.• National Serbian Competitions of students of musical schools, 2002,2004, (first prizes. spezial prizes) 2006,2008 (first prizes, spezial prizes, laureat);• National Serbian Festivals of students of musical schools in Serbia, 2001,2002,2004 ( first prize. spezial prize);• National competition of students of musical schools in Serbia, Belgrade 2006,2008 (chamber guitar duo, first prize, laureat);• International competitions for young guitarists: “Custendil”, Bulgaria, 2001,( first prize, laureat, spezial prize); “Sinaya”,Romania,2002,(first prize); “Anna Amalia International competition” Weimar, Germany, 2003 (first prize) ;“Guitar art”,Belgrade,2003,2004,2006(first prizes) ; 3.European competition "Andreas Segovia" in Velbert,Germany,2004,(first prize, spezial prize),“Guitar-festival”,Split,2007(first prize,spezial prize);From 2005, even he was youngest competitor, he has been awarded with special prizes at famous open international competitions for guitarists (max35 year old):• 35. International competition "Jeunesses musicales" in Belgrade, 2005, (third prize by jury, first prize by public), Guitar festival, Split,2007, Croatia ( first prize. 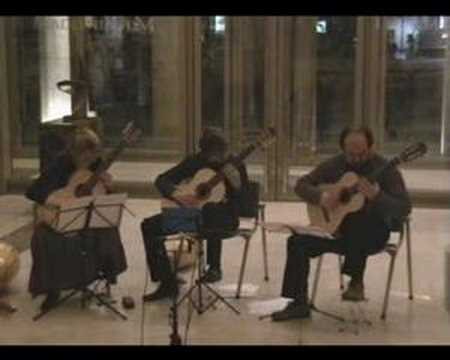 spezial prize); Concorso Internazionale di chitarra classica “Ruggero Chiesa”-Citta di Camogli 2006 (Italy), (3 rd prize); ”Guitar art” competition Belgrade, 2008. 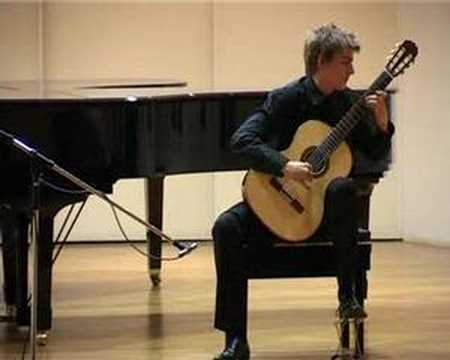 (first prize)• 38th classical guitar competition „Michele Pittaluga“- Alessandria Italy, 2005,2006 ( he was awarded with scholarship at Musical Academia Chigiana, founded by Segovia, in class of Mr Oscar Ghiglia).Vojin gave many solistic concerts in Italy,Germany,Slovakia,Slovenia,Croatia,Hungary,Greece,Serbia…As solist he plays with orchestras: Athens Camerata String Orchestra, Belgrade String Orchestra ”St.George”, “Dušan Skovran” Strings Chamber Orchestra , Symphonic Orchestra of National RTV broadcasting of Serbia. He also played recitals at 2nd and 3th conference of guitarists of Southeast Europe and remarkably represented his homeland.Last succes-first prize in Gargnano (Italy) at 28 Incontri chitaristici di Gargnano, confirm that Vojin is one of the best young euoropean guitarist.